At 9.30 am last Wednesday morning, 23 March 2017, Kris and I put pen to paper and signed a lease that is to open the door to a quite superb commercial property. With frontage right upon Highway 82, immediate proximity to Aspen’s commercial and private airports, and large display windows bathed in glorious Western late afternoon ‘apres’ light, the long wait for a commercial gallery space is over. Equipped with an up-and-over door at the rear, the place is so suited to our needs that, despite dating back to 1975, it might well have been designed to our precise specifications. For over two year Kris and I have been searching for a space that would enable us to present our studio gallery to the world, and now the quest is at last over. Kris, I can tell you, is thrilled to bits at the prospect of curating her very own gallery, and I can now savor the prospect of carving my next Marble Sculpture Collection within the comfy cozy confines of a new, fully equipped studio. The sculptural journey that began with enrollment into Banker Masonry NVQ Level 2, at the City of Bath College, back in 2000; the one that cut its teeth in the masonry yards of surrounding villages, and was honed during the thirteen years of ‘Woody Creek’ – The great Curvilinear Marble Sculpture Revolution – is once again, right back on track ! It is at this point whereby my career as a sculptor hits a pivotal moment. How will the work be received? Who knows? Well. Very well I hope. But I will at least enjoy the satisfaction of seeing my revolutionary “carved for full immersion in the real world” Collection Series Marble Sculpture displayed, for the first time in a public showing, as I myself had envisioned. Crucial considerations such as illumination, positioning and height, will now combine to effectively showcase the myriad of forms, shades and features present within my signature Collection Series Marble Sculpture. The date on the lease may read May 1st, but the day that we actually gain occupancy may perhaps slip back a week or two, as the door configuration has to be attended to, and an interior wall removed. 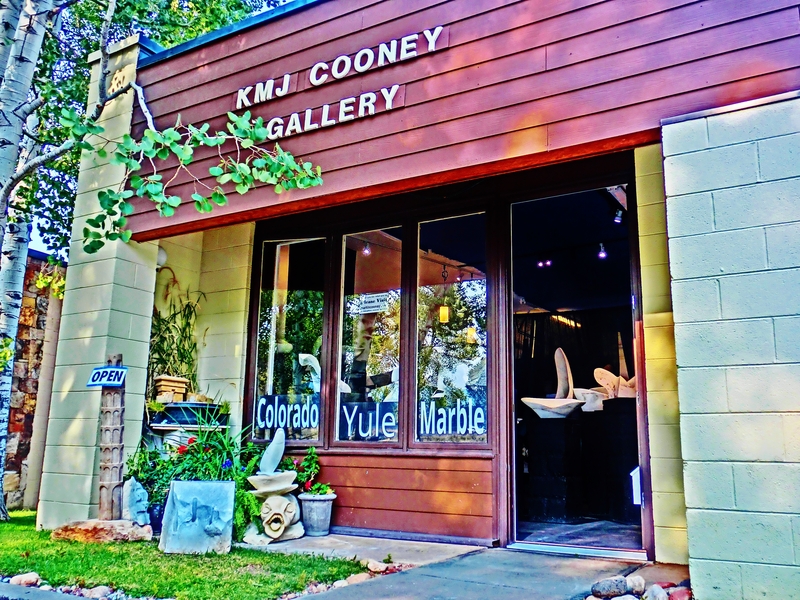 But as the ‘Aspen season’ gets underway in earnest by early June, it is our stated aim to be up and ready for business in ample time to enjoy KMJ COONEY GALLERY’s inaugural ‘Summer of 17 Season’. My brief encounter with gallery life long ago convinced me to stop searching for “the perfect gallery”, as the realization sank in that, if ever such a place was to exist, it would be up to Kris and I to provide it. And so, spurred on by the thought of KMJ COONEY GALLERY materializing before our eyes, we eagerly turned the focus of our attention towards the quest for “a perfect space”. And although such well situated, light, roomy gallery-box-like spaces are a rare find indeed, I really do feel that ‘111 Suite D’ is just that perfect spot that we have been looking for. 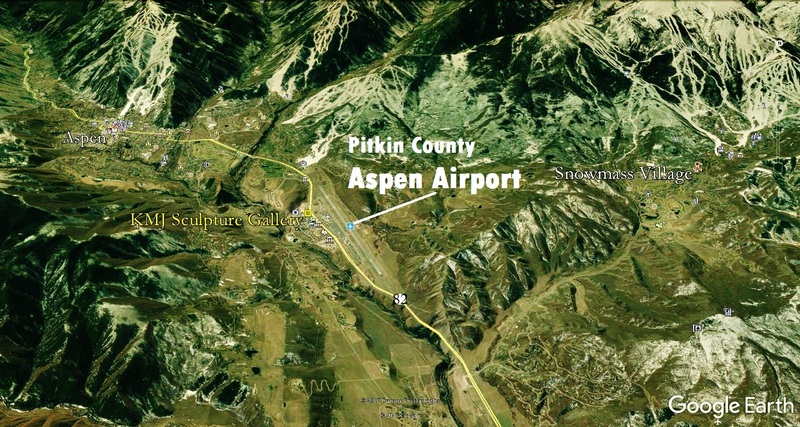 Just a short pedestrian pathway stroll across from Aspen Airport’s commercial and private terminals, and just three miles north of downtown, 111 Suite D’s location could not be more convenient. Parking is easy, ample and right outside the gallery door. Frequent comfortable buses will practically pull up a stone’s throw away on either side of Highway 82. You can cycle there from practically anywhere utilizing the valley’s impressive system of bike paths. You can even hike the three miles, and perhaps take the bus back. If you are feeling energetic there is always the amazing Rio Grande Railroad path that will take you down along the Roaring Fork River, and through a lush riparian zone stretching for mile upon mile. Not only is the new studio gallery to host the Collection Series Marble Sculpture, along with a sampling of my favorite limestone carvings, including water features and fountains, but also Kris’s own exquisite taste in Contemporary Fine Art, and Fab Furnishings. But as if all of this isn’t thrilling enough, perhaps the best news of all is that, should the Summer of 17 prove the success I aim it to be, by the Autumn I will at last be in a position to add a fourth Collection to my Marble Sculpture Series. In splitting and carving another giant block of Colorado Yule Marble, I will once again be in a position to explore and exploit the Direct Method Curvilinear Reductionist technique that I created in order to carve The Maiden Collection, 1314 Winter, and Autumn of 14 Collection, bringing the current total of Collection Series Marble Sculptures to 67. 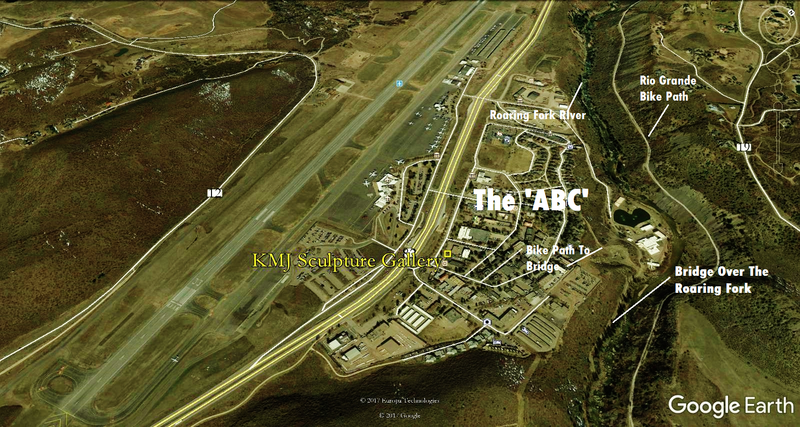 This entry was posted in All Postings, KMJ COONEY GALLERY, Posts about my Sculpture and tagged AABC, airport, Art, Aspen, Colorado, Colorado Yule Marble, contemporary, curvilinear, direct method, fine art, gallery, Marble, Marble Sculpture, reductionist, Roaring Fork River, Sculpture, Stone Carving, Stone Sculpture, studio, studio tour. Bookmark the permalink.